Hi. My name is Imtiaz, and I am the guy who is behind this medical blog. 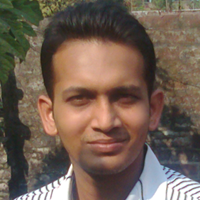 I am a 32-year-old guy from Dhaka, Bangladesh (a country that is in the southern part of Asia). These days I make a living with my laptop. I have actually been working as a medical writer since 2009. In addition to completing a thesis on phytochemistry, publishing one ebook and writing hundreds of medical and scientific articles, I also have experience in pharmaceutical technical documentation. I worked for three mainstream pharmaceutical companies and have a sound knowledge over cGMP regulations. I am holding a Bachelor's in Pharmacy and completed my degree back in 2008 from Stamford University, Bangladesh. I started my career as a Quality Control Officer in a small pharmaceutical company. From 2009 to 2011, in three years, I worked for three different pharmaceutical companies ― and in three different sectors (Production, Quality Control, and Product Management). In 2011, after leaving my last day job, I realized it was not the track where I was comfortable. My craving was for something else. So, I decided not to work in a full-time job anymore. Well, from my inside, I was not feeling right with doing the same things day after day in those day jobs. I wanted to study more, enrich my knowledge in pharmaceutical development, and involve in a research project. But, those jobs were not letting me in the areas where I was interested -- as a result, I quitted. Since August 2011, I have been working in small to large-scale work-for-hire medical writing projects. Check out my Hire Me page for more information about my services. Well, for me, freelance medical writing has opened a new window of opportunities. I believe, otherwise, I would still stuck in a full-time job. And, I think my academic background as well as my experience in pharmaceutical technical documentation greatly helped me in finding some really good clients. Understanding medical articles, especially academic papers, isn't always easy, because they aren't written for general public, they are written for reviewers and scholars. The writing style is so complicated that you may keep losing your mind while reading them. Often, you'll stumble with some words or unfamiliar jargon that you've never heard of! The problem is, however, these inaccessible papers are the only sources of most accurate, reliable, and up-to-date medical information. General people with no background in science or medicine should, somehow, have an access to these papers, so that they can aware themselves of medical misinformation and cyberquackery. To make medical information more accessible and help people become more scientifically literate, I decided to start a medical blog in 2011. Honestly, before creating this blog, I was hugely inspired by the story of khanacademy.org. On August 2011, for the first time, I created a blog (www.medicine-reference.blogspot.com) using the free blogging platform blogger.com. This current domain is the redirected version of the same blog. Medical-reference.net is nothing else but my tiresome efforts to make vague scientific data more understandable to you. The sole purpose of my blogging is to debunk complex medical information and shearing that in a clear, concise way with my words. Hope you would enjoy reading posts in here. Is Aspirin Really Beneficial to the Heart? Keep yourself engaged with the latest posts of Medical-Reference. You can easily stay in touch with Medical-Reference just by entering the email address in the below form. You may also like Medical-Reference on Facebook and follow in twitter @MediReference googleplus +MEDICAL-REFERENCE. But, if you want to follow me, you can find me in twitter @imtiazdanny and googleplus +Imtiaz Ibne Alam. This eBook is dedicated for those who want to study about ajoene. 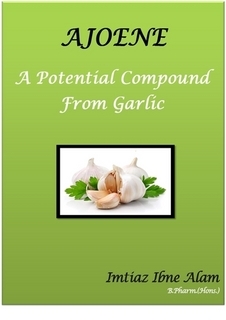 This potential compound, derived from garlic, took my interest in writing this eBook when I first found that there was not a single source that includes much information about ajoene. Yet, most of the information about this ingredient are only in journal papers and patents. Therefore, I decided to write an ebook that is clear, concise, and easy to read, but provides the complete information about the ingredient. I hope the information contained in this book will be helpful and handy for you. Have a question? Feel free to ask me anything! !